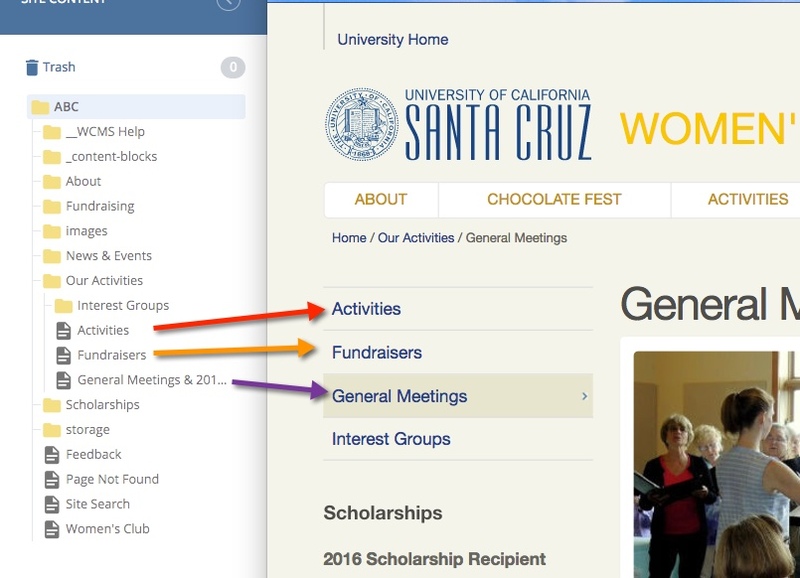 All of your content is contained and organized in your folder structure, which is always shown on the left side of the screen when logged into the WCMS. The folder structure displays on the left side of the dashboard. Your left navigation is automatically generated based on the contents of the folder but you can manage it in different ways.